I’m sorry you seem sad today, Rosemarie. I know that you will be uplifted when you get together with your families for Thanksgiving dinner and you get to see your precious little Boe! Beautiful and poignant. None of us planned to get divorced and here we are. Life doesn’t play by the rules. So brave and honest of you, on Thanksgiving! Mother Lunetta, I am brave and honest. It works for me. Miss you my friend! Thank you, Ed. I now you know better than most that life doesn’t play by the rules. Hope your Thanksgiving weekend is relaxing and wonderful. Rosemarie, I remember having a talk about marriage with my mother and grandmother, where I most smugly said, “My husband will never step out on me”. 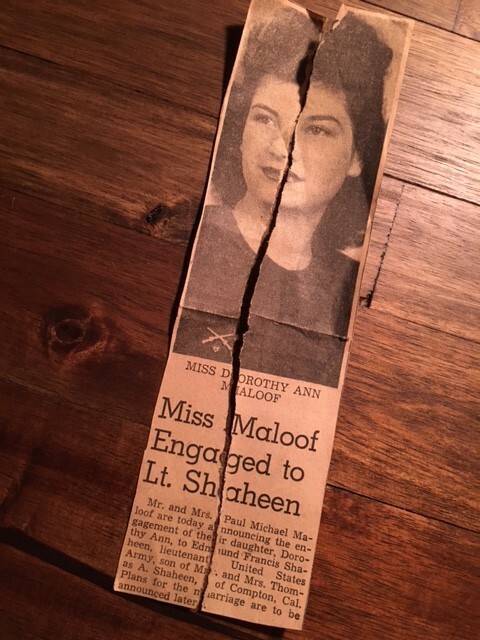 My mother looked down sadly and my Nana yelled at me saying, “Do you think any of us deserve to have their husband cheat on them?” Many of the women in my family dealt with infidelity. That day I learned a valuable lesson about life, everything we go through good and bad, makes us who we are. We met 35 years ago and you have been the amazing woman you are through it all. I love you Rosemarie. Rosemary, so interesting that our mothers and grandmothers took the time to talk with us about marriage. I wonder if mothers nowadays have that conversation with their daughters. Or is it all about the flowers and the photographer? Our mothers were beautiful women and they gave us so much to hold on to in our lives. I am thankful for that. And thankful for our friendship. Love you too! So poignant and painfully true. It takes a very special and sensitive woman to realize all the ideas you expressed. I think of the old saying: “If you want God to laugh, make plans.” Today is one of the days that I feel especially blessed that you are part of my life. You are such an intuitive and sensitive human being. And I am so thank fun to have you in my life, Terry. Thank you. I remember those sad, sad days. You were beside yourself with anger. Daddy tried to talk sense into my Godfather, mother was angry and heart broken that her sister -in -law had to endure that pain. Auntie Dot was never the same after the divorce. And those of us who have been through that level of betrayal are the only ones that can truly understand. But with the help of God, we somehow go on and try to dry the tears that plague us for a very long time. We live and hopefully learn a lot from that kind of heart break. Life is never easy, but the reward of Paradise gets us through, and somehow makes those aching moments easier to withstand. Beautifully stated, Rosemarie, and I certainly relate. My parents divorced when I was 22 and although I had no question that it was the right thing for them to do, it still effected me. 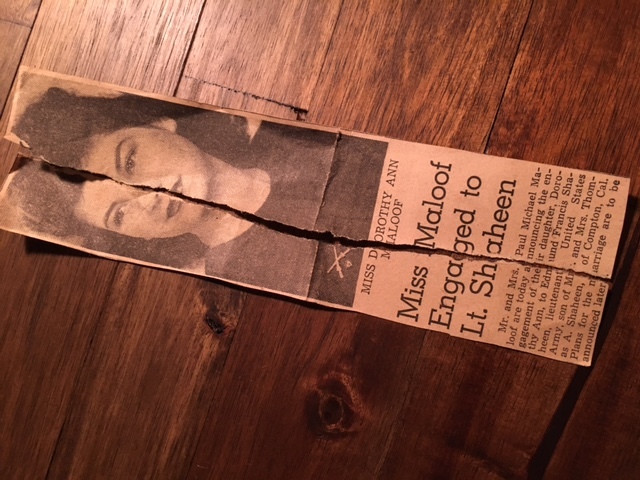 Then, when I was unhappily married, my mother was my role model (and my Nana too). I thought “If they could do it, so could I !”. But my children were young, and I had no idea of the depth of pain it would elicit for the years ahead. It’s such a difficult choice: ‘unhappy marriage with those effects on self and children’ vs. ‘divorce with those effects’. There’s the legacy and the paradox… the strength and the grief, the patterns that repeat despite awareness (and because of it), and the longing for love, happiness, peace. This is life, right? Quite a mix… and we hold it all. So true, Patti. It’s all a part of it. Being Catholic, I felt a lot of guilt and judgement from others. But when I look at the whole picture, I had to grow up and this is what happened in order to facilitate that. Thank you for sharing this.